Interview granted by Bishop Bernard Fellay, Superior-General of the Priestly Fraternity of Saint Pius X (FSSPX / SSPX) to its institutional news agency, DICI. The interview was released just moments ago. Why is the Doctrinal Preamble that Cardinal Levada delivered to you on September 14 still surrounded by so much secrecy, both on the part of the Congregation for the Doctrine of the Faith and by the Society of St. Pius X? What is this silence hiding from the priests and faithful of Tradition? This discretion is normal for any important proceeding; it ensures the seriousness of it. It so happens that the Doctrinal Preamble that was delivered to us is a document which can be clarified and modified, as the accompanying note points out. It is not a definitive text. In a little while we will draw up a response to this document, noting frankly the doctrinal positions that we regard as indispensable. Our constant concern since the start of our talks with the Holy See—as our interlocutors know very well—has been to present the traditional position with complete loyalty. Discretion is required on Rome’s part also, because this document—even in its present state which needs many clarifications—runs a great risk of arousing opposition from the progressives, who do not accept the very idea of a discussion about the Council, because they consider that this pastoral council is indisputable or “non-negotiable”, as though it were a dogmatic council. Despite all these precautions, the conclusions of the meeting of the superiors of the Society of St. Pius X in Albano on October 7 have been divulged on the Internet by various yet consistent sources. There is no lack of indiscretions on the Internet! It is true that this Doctrinal Preamble cannot receive our endorsement, although leeway has been allowed for a “legitimate discussion” about certain points of the Council. What is the extent of this leeway? The proposal that I will make in the next few days to the Roman authorities and their response in turn will enable us to evaluate our remaining options. And whatever the result of these talks may be, the final document that will have been accepted or rejected will be made public. Since this document, in your view, is not very clear, wouldn’t the simplest thing be to send its authors a flat refusal? The simplest thing, perhaps, but not the most courteous. Since the note that accompanies it foresees the possibility of making clarifications, to me it seems necessary to ask for them instead of refusing them a priori. This in no way prejudges the response that we will give. Since the debate between Rome and us is essentially doctrinal and mainly concerns the Council, the clarifications that we do or do not obtain will have the not insignificant advantage of making more evident where the difficulties are and where the solutions are; this is true also because this debate concerns not only the Society of St. Pius X but the entire Church as well. This is the spirit that has constantly guided our theological discussions during these past two years. This document serves as a preamble to a canonical statute; doesn’t this implicitly abandon the marching orders that you had defined, which foresaw a doctrinal solution first before any practical agreement? It is indeed a doctrinal pre-amble, the acceptance or rejection of which will then determine whether or not some canonical status is obtained. Doctrine is by no means being put in second place. And before committing ourselves to an eventual canonical status, we are studying this preamble minutely with the criterion of the Tradition to which we are faithfully bound. For we have not forgotten that there are many doctrinal differences at the origin of the dispute between Rome and us these past forty years; setting them aside in order to obtain a canonical status would expose us to the danger of seeing the same differences crop up inevitably, which would make the canonical status not just precarious but quite simply unlivable. Therefore basically nothing has changed after these two years of theological discussions between Rome and the Society of St. Pius X? These discussions have enabled our theologians to present straightforwardly the principal points of the Council that cause difficulties in light of the Church’s Tradition. In parallel with and perhaps thanks to these theological discussions, during the past two years voices other than our own have made themselves heard formulating critiques of the Council that second ours. Thus Msgr. Brunero Gherardini, in his studyEcumenical Council Vatican II: A Much-Needed Discussion, insisted on the different degrees of authority of the conciliar documents and on the “contrary spirit” that crept into the Second Vatican Council from the start. Similarly Bishop Athanasius Schneider had the courage, during a conference in Rome in late 2010, to ask for a Syllabus condemning the errors in interpreting the Council. Along the same lines, the historian Roberto de Mattei has nicely demonstrated the contrary influences exerted on the Council, in his most recent book, The Second Vatican Council: A History Never Before Written. We should mention also the Petition sent to Benedict XVI by those Italian Catholic intellectuals who are calling for a more in-depth examination of the Council. All these initiatives, all these interventions clearly show that the Society of St. Pius X is not alone in seeing the doctrinal problems that Vatican II poses. This movement is extending and it can no longer be stopped. Yes, but these university studies, these learned analyses do not contribute any concrete solutions to the problems that this council poses hic et nunc [here and now]. These studies highlight the doctrinal difficulties caused by Vatican II and consequently show why adherence to the Council is problematic. This is an essential first step. 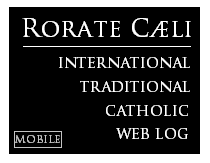 In Rome itself, the evolving interpretations given to religious liberty, the modifications that have been made on this subject in the Catechism of the Catholic Church and in the Compendium of it, the corrections that are currently being studied for the Code of Canon Law… all this shows the difficulties that you run into when you try to abide by the conciliar documents at all costs, and from our perspective this nicely shows the impossibility of adhering in a stable way to a doctrine in motion. Isn’t the Creed sufficient identification for a Catholic? In your view, what is doctrinally stable today? The only doctrine ne varietur [safeguarding against change] is quite obviously the Creed, the profession of the Catholic faith. The Second Vatican Council was intended to be pastoral; it did not define any dogma. It did not add to the articles of faith: “I believe in religious liberty, in ecumenism, in collegiality….” Wouldn’t the Creed still be sufficient today to identify someone as Catholic? Doesn’t it still express the whole Catholic faith? When people renounce their errors and join the Catholic Church, are they now required to profess their faith in religious liberty, ecumenism or collegiality? As for us, the spiritual sons of Archbishop Lefebvre, who always refrained from setting up a parallel Church and always intended to be faithful to Eternal Rome, we have no difficulty in adhering fully to all the articles of the Creed. In this context, can there by a solution to the crisis in the Church? Short of a miracle, there can be no instantaneous solution. Wanting God to give the victory without asking armed men to engage in battle, to quote St. Joan of Arc, is a form of desertion. Wanting an end to the crisis without feeling concerned or involved is not really to love the Church. Providence does not dispense us from the duty of our state in life, wherever it has placed us, or from assuming our responsibilities and responding to the graces that it grants us. The present situation of the Church in our formerly Christian countries is a tragic decline in vocations: four ordinations in Paris in 2011, only one in the diocese of Rome for 2011-2012. This is an alarming scarcity of priests: think of the pastor in Aude (department in south-central France) who has 80 worship sites. These dioceses in France are anemic to the point where in the very near future they will have to be regrouped just as the parishes have already been regrouped…. In a word, the ecclesiastical hierarchy today is heading structures that are much too large for the constantly decreasing numbers of personnel, which is strictly speaking an unmanageable situation, and not just on the economic level…. To use an image, it would be necessary to maintain a convent designed for 300 nuns while there were only 3 left. Can things continue that way for another ten years? Some young bishops and priests who are inheriting this situation are becoming more and more aware of the sterility of 50 years of openness to the modern world. They do not place the blame exclusively on the secularization of society; they are asking about the responsibility of the Council which opened the Church up to a world that was becoming completely secularized. They wonder whether the Church could adapt to modernity to that extent without adopting its spirit. These bishops and these priests are asking themselves these questions, and some of them are asking us… discreetly, like Nicodemus. We answer them that, confronted with this scarcity, one must find out whether Tradition is Catholic: is it merely an option or is it a necessary solution? To say that it is an option is to minimize or else deny the crisis in the Church and to try to be content with measures that have already proven ineffective. Even if the Society of St. Pius X obtained a canonical status from Rome, it nevertheless could not offer any solution on the ground, because the bishops would oppose it, as they did with the Motu Proprio on the Traditional Mass. This opposition against Rome by the bishops was expressed in a muted but effective way with regard to the Motu Proprio on the Tridentine Mass, and it continues to be manifested stubbornly by some bishops with regard to the pro multis in the Canon of the Mass, which Benedict XVI, in keeping with Catholic doctrine, wants to have translated “for many” and no longer “for all”, as in most liturgies in the vernacular. Indeed, some bishops’ conferences persist in keeping that incorrect translation, again quite recently in Italy. Thus the pope himself is experiencing this dissent by some bishops’ conferences, on this topic and on many others, which makes it possible for him to understand easily the ferocious opposition that the Society of St. Pius X will no doubt encounter from the bishops in their dioceses. They say that personally Benedict XVI wants a canonical solution; he would also have to be willing to take the measures that will render it truly effective. Is the seriousness of the present crisis the reason why you have launched a new Rosary crusade? In asking for these prayers I wanted above all the priests and the faithful to become more closely united to Our Lord and to His Holy Mother by the daily recitation of the Rosary and by profound meditation on its mysteries. We are not in an ordinary situation that would allow us to be content with routine mediocrity. An understanding of the current crisis is not based on rumors spread via the Internet, nor will solutions come from political astuteness or diplomatic negotiations. One must look at this crisis with the eyes of faith. Only constant reliance on Our Lord and Our Lady will make it possible for all the priests and the faithful who are devoted to Tradition to maintain this unity of outlook that supernatural faith procures. In this way we will be united during this period of great confusion. In praying for the Church, for the consecration of Russia, as the Blessed Virgin requested at Fatima, and for the triumph of her Immaculate Heart, we are lifting our minds above our all-too-human aspirations, we are surpassing our all-too-natural fears. Only at that height can we really serve the Church, in carrying out the duties of the state of life that is entrusted to each one of us. Now that is an understatement! Bishop Fellay is a man of immense prudence. The SSPX is blessed to have him in charge. Let us all pray for the magnificent courage and witness for the Faith of the SSPX. May God bless them with many Graces for their heroic efforts. "the SSPX is blessed to have him in charge." Sir, I would say the whole Church is blessed to have him in charge. His calm and consistent prudent approach keeps this whole issue alive and serious. None can dismiss him as a firebrand, or a flake, or anything else. The Lord is generous to grant that "the opposition" has such a leader, to co-opt an image from politics. His ways truly are mysterious. They wonder whether the Church could adapt to modernity to that extent without adopting its spirit. Truer words have never been uttered! In adopting its spirit to a liberal world the Church became liberalized (and modernism is running ramshod in her because of it). "...It is true that this Doctrinal Preamble cannot receive our endorsement,..."
The blind have called the Truth seekers of Holy Mother Church many evil things. "...There is no lack of indiscretions on the Internet!..." This translates to the fact Bishop Fellay's Office help is angry the 'Parasites' are able to get at the Truth of matters. The Kingdom of His Eminence only exists at Headquarters. He will never get anything signed because he has zero support of the Superiors of the SSPX. Bishop Fellay weeps at his inability to be the hero of Tradition. Those of us Catholics that are caught between the Novus Ordo Freemasons and the Whitened Sepulchers of the SSPX are praying for our Lord to hear us. The SSPX has received many graces that have been quickly abused by many within that organization. They are becoming Traditional Gnostics. The comments of St. Michael Come to Our Defense exceed the imaginable bounds of the bizarre. Bishop Fellay will submit a response to the Preamble "in the next few days". That suggests a submission in less than a week. He is no doubt giving us an honest assessment but assessments can be mistaken. He'll have it in by mid-December. All right, so it will have taken about four months for the S.S.P.X to respond to a two-page letter. I predict that it will then take Rome at least to Easter to respond to that. Some of us might possibly not die of old age before the liberation of the Traditional Latin Mass is secured. The other possibility is that Levada has prepared a quick response to be delivered before his expected departure in January. I don't think his comments are parody at all. They are par for the course for him. He regularly posts in such a fashion on here. He has never hidden his dislike of Bishop Fellay. "Saint Michael come to Our Defense:"
Your comments on the site as of late have been exceedingly bizarre. I can't even follow who you are referring to as "Truth seekers," "Parasites," and so on. I pray for you, Bp. Williamson (your comments actually remind me of some of his Eleison comments believe it or not), and Bishop Fellay, who is certainly a hero of Tradition. Oliver, you are spot on. Put everything aside, it is the ego of man (in particular, that of the leadership of the SSPX)that is the reason why the Society will not be reunited with Holy Mother Church. The Society will become irrelevant in the eyes of the Church as far as reaching a canonical solution. The Society will be put on the back burner while "ecumenism" will continue with Christian communities/Protestant sects. While we do not know the contents of the Doctrinal Preamble, I can assure you that under our current Holy Father, Pope Benedict XVI, a "better" Preamble will never come the Society's way. The Society had their chance and egos destroyed it. Your assurances are intriguing as people have said similar things before and what resulted was always something better. It is a pity you are in despair. You may want to consider changing your moniker to something more fitting. I leave that to your imagination - which is obviously very fertile. "...I predict that it will then take Rome at least to Easter to respond to that. Some of us might possibly not die of old age before the liberation of the Traditional Latin Mass is secured..."
I don't think a reconciliation will happen without a chastisement on both sides. It was wrong for His Eminence to call for a million Rosaries for the Ex-Communications before calling for a million for the Consecration of Russia. We are going to pay for that mis-step. (Nowhere ever have I remarked I disliked or hated Bishop Fellay. Not even when we spoke face to face did I tell him I dis-like him). His Eminence knows I would go anywhere on this planet to lay down my life for him or any of the Priests of the SSPX. He knows by the example I have set. What I have a great dislike for are the Scribes and Pharisees that plague much of the SSPX. "Those of us Catholics that are caught between the Novus Ordo Freemasons and the Whitened Sepulchers of the SSPX are praying for our Lord to hear us"
I can understand this statement. Not with regards to the SSPX because I have no experience with their masses. However, I have attended a couple of TLMs in my area and I see a distinct lack of charity in many (not all) of these mass communities. Don Marmion felt "that a man's love for God is measured by his love for his neighbor." By this yardstick many of these folks who have all the truths of the holy mass done properly, have little love for God that I can see. I try not to judge them but their actions speak. Contrast this with the Novus Ordo mass I am geographically bound to frequent and the people there are mostly kind and gentle but of course washed out of many of the traditions of the faith. After knee surgery my wife attended mass there and no less than three people offered to prop up her leg into a comfortable position. Indeed I feel caught in the middle. I want a daily TLM with the old school kindness of the Franciscans without the Vatican II liberal inventions and the TLM community coldness. Does it exist? If the SSPX becomes regularized I have hope that it will. An Independent SSPX offering masses in a diocese would force the bishop to add his own TLMs and daily availability of the TLM would grow from there. Peterman, our Diocesan traditional Latin Mass is run by the kindest lay people you would ever meet. Young families with many children, a wonderful choir and lots of servers. We all chat after mass. No comparison with our other, Novus Ordo, parish. Do not extrapolate your experience too far. TLM is the way to save the Catholic Church. There still is an element of fear that I would have in joining an order from the SSPX. But the more I hear the news, the more I am convinced that heaven is paying attention to all of this and that the future for the SSPX is one of success. I can be wrong, but in the hands of Our Lord, nothing will fail. Their founder stood up for the unimaginable in the 70s and 80s. Today the SSPX is a voice that cannot be ignored however you might try to shove it apart. It is strange to see my name here without a corresponding letter. Fr. Cekada always gets one but I do not. The SSPX remains true to its preferred position and status within tradition. It is like a road block for those who want to join the modern pantheon and those firmly disposed to declaring conciliarism null and void. The only doctrine ne varietur [safeguarding against change] is quite obviously the Creed, the profession of the Catholic faith. The Second Vatican Council was intended to be pastoral; it did not define any dogma. It did not add to the articles of faith: “I believe in religious liberty, in ecumenism, in collegiality….” Wouldn’t the Creed still be sufficient today to identify someone as Catholic? Doesn’t it still express the whole Catholic faith? When people renounce their errors and join the Catholic Church, are they now required to profess their faith in religious liberty, ecumenism or collegiality? LOL That simple truth cuts through the fog of the New Theology doesn't it?
" I want a daily TLM with the old school kindness of the Franciscans without the Vatican II liberal inventions and the TLM community coldness"
You really should visit more TLMs before calling them Ll cold. I've been to plenty and never experienced this. You may find an old timer or two that throws a mad stare for not taking a screaming child out of Mass, but that doesn't make the community cold. "...I can assure you that under our current Holy Father, Pope Benedict XVI, a "better" Preamble will never come the Society's way." Then why has Rome allowed for the Preamble's clarification and modification? It has been mentioned that it will be Easter before Rome responds, but I don't think it will take that long. It seems that Bp. Fellay is trying to point out the SSPX position on issues in response to what is contained in the Preamble. But I don't think that's what the Preamble is about. I could be wrong, but I think the Preamble is about the methodology that is to be used in understanding Church doctrine. From what I can tell, Rome believes that it has the right and authority to determine the methodology used, and the SSPX has to agree to this before any regularization can occur. So in a sense, the SSPX and Rome have different goals. Rome wants the SSPX back in the fold - for them it's about Unity. The SSPX, on the other hand, wants to change Rome, and have Rome return to what it believes is sound orthodoxy. Regularization seems to be a secondary concern for the SSPX. I don't think that Rome is willing to discuss doctrinal issues so much anymore - that's already been done. What they are looking for now is for the SSPX to agree to a minimun requirement for obedience in the area of methodology. Thomism is the theological "methodology" adopted by the Church to systematize its theology since before the Council of Trent. Unless Rome returns to this "methodology" theology will never be clarified. And Thomism can and has been interpreted in different ways. If you study the early supporters of St. Thomas, both before and after his death, you'll see that there are variations. Several of his early supporters among the Dominicans at Paris and Oxford in the early days understood him well, the Franciscans who opposed him - not so much. And I think that the Franciscan view has been more prevalent, unfortunately, in determining doctrine, rather than Thomism, in the last century. Still, it's up to the Church to decide the methodology. Saint Michael come to our defense. Please refer to Bishop Fellay as "His Excellency", not "His Eminence". The former is used for addressing bishops, the latter, for Cardinals. Did the pereti who crafted the Vatican II documents have the right to reject the methodology for doctrine used by Popes during the centuries prior to the Council? Is it now wrong for the SSPX to follow the methodology of the Pre-Vatican II popes? "Did the pereti who crafted the Vatican II documents have the right to reject the methodology for doctrine used by Popes during the centuries prior to the Council? Is it now wrong for the SSPX to follow the methodology of the Pre-Vatican II popes?" No, because doctrine evolves and is alive and can be open to not only a change of interpretation but change intrinsically. What Popes taught and passed on in the past is not what the magisterium teaches and passes on now. Brian, the pre-Vatican ll popes are no longer reigning popes. They are dead, though presumably they are part of the Church Triumphant. The pope that rules over the Church right now is Benedict. It is he that makes the important decisions for the Church, not the pre-Vatican ll popes. The SSPX is fighting a losing battle if they think that they only have to pay allegience to dead popes, saintly as many of them were. I could be wrong, but the crisis has more to do with the old battle between the Franciscans and the Thomists, more than anything else. Hopefully the SSPX can make a case for a return to Thomism. The horrid Franciscanism that has prevailed needs to change. The minimalist approach to the liturgy, church architecture, ecumenism, as well as the interior of churches has Franciscanism written all over it. Trads believe that it's the influence of Protestantism that's the problem, but no...the problem is Franciscan. St. Francis and St. Claire banned Gregorian chant in their churches, and Franciscans have been some of the strongest supporters of the awful Charismatic Renewal movement, and the EWTN network, too, is Franciscan. And...I think that the pope's own personal priest-confessor is a Capuchin. Time to give Franciscanism the boot, and return to Thomism. But Trads will continue to ignore the Franciscan influence, and instead focus on Bugnini, modernists, Assisi (without addressing the Franciscan influence at Assisi), etc. Oh well. I'll not post anymore on this issue, because I don't want to dominate the discussion. Please carry on. "What Popes taught and passed on in the past is not what the magisterium teaches and passes on now. 53. The organic constitution of the Church is not immutable. Like human society, Christian society is subject to a perpetual evolution. We have another example of talking past each other. The fact that there were (are) different schools of Thomists says NOTHING about the inherent necessity of Thomism to the Church's self-understanding. Your comment concerning the Franciscans being more influential is rather a stretch. Besides, St. Thomas and St. Bonaventure had far more in common than what either of them would have with the present "novelle theologie" held by the neo-cons (and we won't even open up the can of worms concerning the process theologians which populate the leftist spectrum of the contemporary Church). The Church, of course, has the right to determine Her theological methodology. But that's begging the question as to whether those who are presently steering Her have the right to construct a methodology which makes it impossible to restate adequately the self-understanding acquired by the Thomistic method throughout the past seven centuries. You don't whimsically change the mechanics by which the vocabulary of the sacred has been formulated. Cruise the Groove, if you are correct, we are in a false Church. Your statement means that doctrine is all up the a Pope and his whims; he is a keeper of tradition, not it's originator. Peterman, your generalizations aside, forget the community. You seem to be going to Mass not for worship but for fellowship. That is protestant. Perhaps that's why you feel more comfortable in the novus ordo? I am joking of course. The opposite of what I said above is true. I was making a point that many modernists, that Pope Benedict XVI has appointed himself, believe what I have said. "...Please refer to Bishop Fellay as "His Excellency", not "His Eminence"..."
If I am ever to get to Heaven, it will be by the prayers of Friends that begged God on my behalf. If it was "wrong for His Eminence to call for a million Rosaries ..."
Why would the answer be so quick in coming? Unsurprisingly, nothing has changed. The SSPX cannot accept anything from modernist Rome, but it will try to say something that will have a positive effect on modernist Rome. That effort is what's taking so long. But the reply will be out shortly: the DICI interview makes that implicit announcement, and also seeks to manage expectations. Bishop Fellay seems to think that there will be an eventual acceptance or rejection. I could as easily imagine its going on indefinitely, or at some point just petering out. Bishop Fellay also seems to think that the process will remain confidential until one or both sides call it off by agreement or rejection. So we must watch and pray, and enter not into temptation to wishful thinking. It could not be more obvious that so far, in Bishop Fellay's estimation, all this is going nowhere. If I recall correctly, there is a ~150 page article from the 1950s in the Thomist detailing St. Thomas's influence and authority in the Church. Unfortunately, I no longer have it handy; otherwise, I'd give the reference. Where can you find these books in English? Did the pereti who crafted the Vatican II documents have the right to reject the methodology for doctrine used by Popes during the centuries prior to the Council? When you point out the obvious point that the pre-Vatican ll popes are no longer reigning popes. They are dead, I have no idea what point you are trying to make. "Moreover, no new definition of truth is offered in the new definition of theology: 'Theology is no more than a spirituality or religious experience which found its intellectual expression.' And so follow assertions such as: 'If theology can help us to understand spirituality, spirituality will, in the best of cases, cause our theological categories to burst, and we shall be obliged to formulate different types of theology…For each great spirituality corresponded to a great theology.' Does this mean that two theologies can be true, even if their main theses are contradictory and opposite? The answer will be no if one keeps to the traditional definition of truth. The answer will be yes if one adopts the new definition of truth, conceived not in relation to being and to immutable laws, but relative to different religious experiences. These definitions seek only to reconcile us to modernism. This assessment is as true today as it was 65 years ago. "You really should visit more TLMs before calling them Ll cold." I can agree with that statement. Now if only the bishops didn't make the TLM so maddeningly scarce. In the one particular mass I believe the attitude is a direct reflection of the TLM priest in charge there who has visited my home to bless it. I have studied him a bit and his attitude is reflected in his flock. I haven't gone back to that TLM and it's a huge disappointment but I have prayed for him often. "All things considered,the sad reality seems to be that HH Pope Benedict xvi is a prisoner." Bishop Fellay is head of the SSPX. 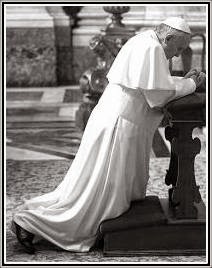 The Holy Father is the Visible head of the Universal Church, the Vicar of Christ, the Voice of God on earth. Big difference! This is what the SSPX must understand. If they truly defend Tradition, then they must hold steadfast to the Tradition of obededience to the Holy Father. Brian, my understanding is that if something is not infallibly or dogmatically declared, then yes, it can change. That doesn't mean it's a good idea, but the pope approved the Vll documents. Even Archbishop Lefebvre signed all the documents. Of course he hoped that the documents would be interpreted in light of tradition. Would you happen to know if the methodology used to interpret doctrine is supported in canon law? Because if it is, then the pope has the right to change it or not follow it, since he is the legislator. Thomism wasn't adopted by the Church as methodology until early in the 14th century. The Church was still the Ark of Salvation until it adopted Thomism. I would like to see the Church return to it. if something is not infallibly or dogmatically declared, then yes, it can change. If it can change, then it is not a doctrine of the Catholic Church, and no Catholic needs to believe or follow it, even if the pope writes about it in his books. Would you happen to know if the methodology used to interpret doctrine is supported in canon law? If the methodology used to interpret doctrine is supported in canon law, then that is news to me. Catholics are obliged to adhere to and follow the dogmatic Truths of the Church. I am not sure how you arrived at the position that Catholics are obliged to follow the methodology used to interpret doctrine according the most current pope. It seems like a notion that you arrived at on your own, but now insist that the SSPX must follow. Clearly, the Truth is not subject to the winds of change.